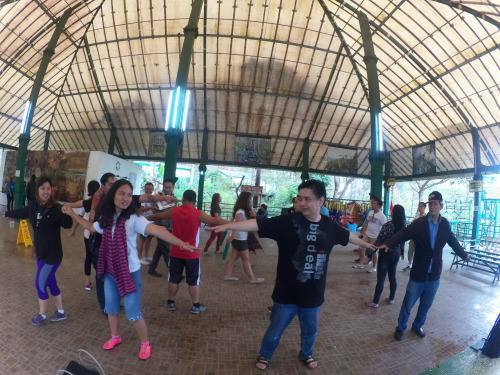 BoyRaket.com: Tree Top Adventure Baguio - Yes you can do Team Buildings Here! Tree Top Adventure Baguio - Yes you can do Team Buildings Here! Aside from the famous and fun rides and activities you can do in this amazing theme park. You and your team or company can also do team buildings in this park. A pretty good venue to strengthen the team, with nice climate and view. The place itself have enough facilities that you and your team will enjoy while being challenged at the same time. The activities have variety of lessons that can help the team move as one. From challenging the creativity, cooperation, patience, communication as well as critical thinking and most specially, the camaraderie that the activities bring. As much as I like to discuss the activities, I'd rather make it as a surprise for you. Not to spoil the fun for you! But I can say that it will really test you and your group and be happy with whatever the results may be. Strategize as an individual but most specially think as a group.